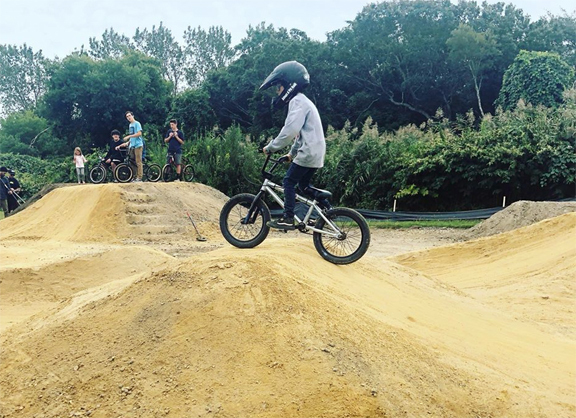 Created in 2018 by a group pf volunteers, the clay/dirt track is intended for BMX and Mountain bicycling during daylight hours, weather permitting. Rules for use are posted on a sign at the track. The track was dedicated in memory of Wood School student Teagan Palmer (2012-2018).